This article is devoted to the 60th anniversary of Professor Sir David Lane and summarises his renowned research career and scientific and business achievements to date. Professor Lane is one of the world’s foremost cancer biologists with more than 350 publications in the world leading science journals and was the second most highly cited UK-based scientist in the 1990’s. Sir David is best known for the discovery of the p53 protein which he termed “the guardian of the genome” due to its vital role in the defence against cancer. A decade later p53 was named “molecule of the year” by the scientific journal Science. Professor Lane has won many international prizes and awards for his outstanding work in the field of cancer research and drug development. Copyright: © 2012 Zhelev. This is an open-access article distributed under the terms of the Creative Commons Attribution License, which permits unrestricted use, provided the original authors and source are credited. Conflict of Interests: No potential conflict of interest was disclosed. Born in 1952 David, the son of an accountant completed his undergraduate and PhD in University College London. During his studies his father died of colorectal cancer, a tragic turning point in David’s life that devoted him to the idea of developing better treatments against cancer. David did his PhD in immunology with Professor Avrion Mitchison who still refers to him as “the best student I ever had in University College“. David Lane began his post-doctoral research in the laboratories of the Imperial Cancer Research Fund working with Lionel Crawford. “In ICRF I started being a tumour virologist” he says.“ Our work in ICRF was really exciting and challenging. Lionel was only there for a few months and then he went on sabbatical leave to the USA, and while he was away we really got the p53 project off the ground. It was a hugely exciting time. I hadn’t finished writing my PhD I ended up being kind of in charge of Lionel’s lab while he was away, with lots of other people on the floor, competing for the space. I was trying to write my PhD, and at the same time trying to do this new work”. Fig.1 David Lane with his mother Celia, brothers and sister at Friday Street in Surrey. 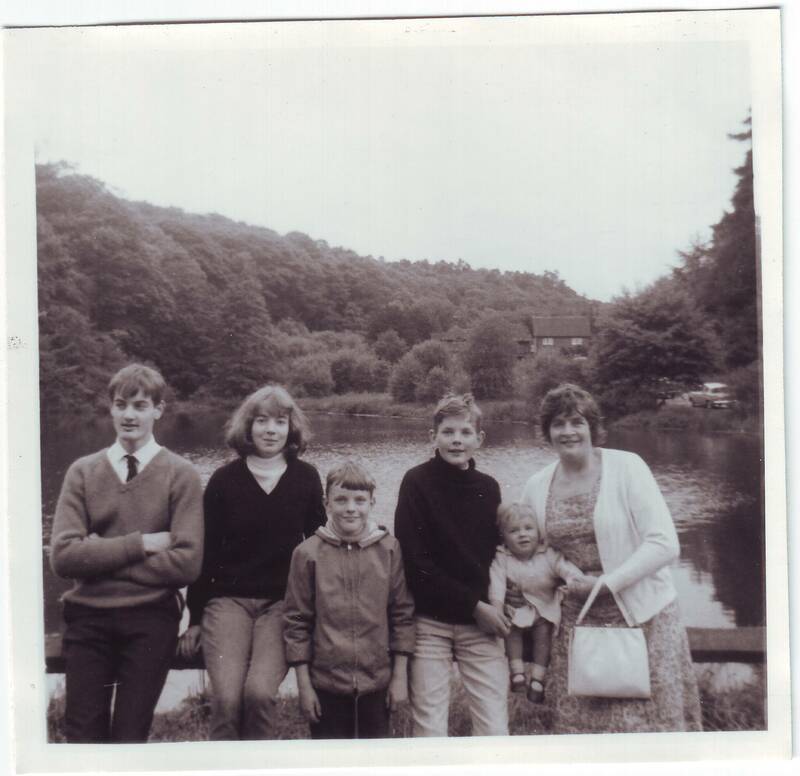 In order from left John, Margaret (the eldest) Andrew, David, Stephen and Celia. Using immunology techniques he discovered p53, a protein that interacts with the Large T antigen and hypothesised that this protein might be involved in control of cell growth .“ It does illustrate how training in one area of science can shed light in a different area” says David. Ignoring initial advice that p53 was a red herring David went on in establishing p53’s central role in preventing cancer by inducing cell cycle arrest, senescence and cell death in response to activation of cancer genes, DNA damage and stress signals . While working in ICRF David was offered his first job as an independent scientist. “I had been there only nine months in ICRF and Mitchison phoned me up and said, you must apply for a position at ImperialCollege for a lectureship. I did and I got this job, so I had tenure very young, only twenty five, which is very unusual, but it was incredible. It would never happen now. But looking back on it, in a sense for me personally, it was very helpful because it did give me a certain independence and robustness”. However before taking up the lectureship position at Imperial College, Dr Lane accepted an offer from Joe Sambrook to join the Cold Spring Harbor Laboratory. “It was fantastic. It was the best thing that happened to me. You felt you were part of something really exciting. It was great! It was wild; it was enormously challenging. I made my first monoclonal antibodies in ColdSpringHarbor, so it was very exciting technically to do that and I did it, literally with my own hands. It was a fantastic feeling of achievement”. In Cold Spring Harbor Laboratory David started writing the book “Antibodies: A Laboratory Manual” published in 1988, which became a classic and standard text in biomedicine for a decade . The Antibodies manual has sold over 40,000 copies and is the most successful practical guide to the use of immunochemical methods. 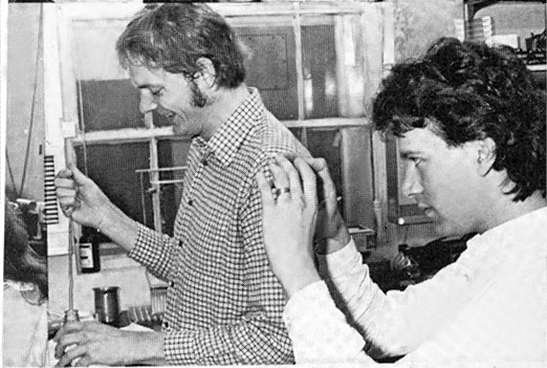 Fig.2 David Lane (left ) and Keith Willison at Cold Spring Harbor Laboratory in 1979. On returning to the UK, David set up his own laboratory with CRC funding at Imperial College London then moved to the ICRF laboratories at Clare Hall. In 1990 along with his wife Birgitte, an eminent cell biologist in her own right, David moved to Dundee to help establish the CRC laboratories. Fig.3 The gang of four, as they were called, were the four young lecturers at Imperial College. 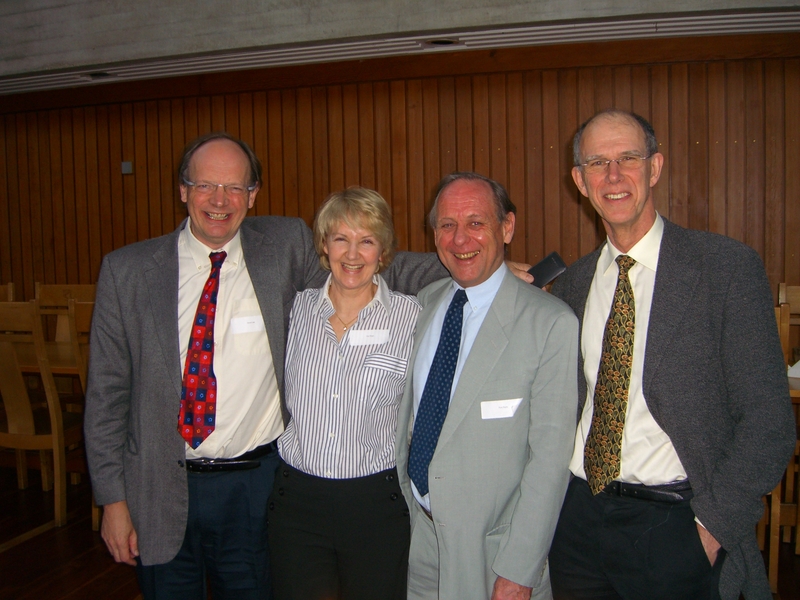 In order from left Professors David Lane, Jean Beggs, Peter Rigby and David Glover. All four of them are now Fellows of the Royal Society. Picture was taken at David Glover’s 60th Birthday. In Dundee, Professor Lane continued his research in discerning the role of p53 and why it is so relevant in oncology. This was illustrated by an experiment, which was initially designed in one of Dundee’s pubs. David’s colleague and friend, professor of pathology Peter Hall rolled up his sleeve and sunburned his arm using ultraviolet light. David subsequently showed that there is a dramatic increase of p53 in the affected area which causes the characteristic peeling of the skin by switching on a cell-suicidal mechanism, which is selective to damaged cells . Without this effect, skin cancer and indeed many other cancers would be much more prevalent. Currently there are 22 million people worldwide with tumours caused by functional mutations of p53. Professor Lane argued that compounds which restore the function of p53 in such tumours can be used therapeutically with the potential to cure cancer . With support from the University of Dundee and Cancer Research Campaign Professor Lane founded Cyclacel Ltd in 1996 serving as a Chief Scientific Officer and Executive Director. David’s scientific reputation attracted leading scientists from around the world and secured the most investment by a university spin-out company in Europe. Cyclacel had an immense influence on biotechnology in Dundee, today one of the leading bioscience centres in the world. In Cyclacel Professor Lane pioneered the use of peptidomimetics as a tool of drug discovery . Under his leadership the company established several programs on the discovery, development and commercialisation of small molecule drugs targeted at controlling various points in the cell cycle, primarily within oncology. Several cancer drug candidates that were discovered during that period are currently under clinical investigation . Professor Sir David Lane was the Chairman of A*STAR's Institute of Molecular and Cell Biology (IMCB) scientific advisory board from 2002-2003. He became Executive Director of IMCB from 2004-2007, where he contributed significantly to both basic and translational research in the Institute. Professor Lane was also the founding CEO of A*STAR’s Experimental Therapeutics Centre, established in 2006. From 2007-2009 Professor Lane was the Chairman of Biomedical Research Council (BMRC) in Singapore, a body which supports, oversees and coordinates public sector biomedical research and development activities. Professor Sir David Lane was appointed by Scotland’s First Minister Jack McConnell as the Fresh Talent Ambassador for Scotland. Sir David fulfilled this role by fostering a number of international collaborations with Scottish institutions. Recently Professor Lane was instrumental in signing a Memorandum of Understanding between A*STAR and the University of Dundee to offer joint PhD training in biomedical sciences and explore opportunities for research collaborations. Currently Professor Lane is the Chief Scientist of the Agency for Science, Technology and Research and Director of the p53 Lab. For his contributions to cancer research, Professor Lane has received numerous awards including being knighted at Buckingham Palace on 24th October 2000. “I received a letter from the Prime Minister’s office, which is very private, and you’re not allowed to tell anybody you have this letter. And then, it gives you the option to say no. The usual MasterCard application forms and stuff like that came in the mail and then it was this letter from the Prime Minister’s office, and I opened it and I just fell over. It was unbelievable. I ticked the box to say I will accept it and then posted it off immediately. I had a really big problem; I still had to worry if I ticked the wrong box and so on. I told my wife but I didn’t tell anybody else. It was announced at New Year’s Eve. It was the millennium so we had about two hundred people around our house and then there was this news as well, so it was fantastic”. Sir David is a member of EMBO, and a Fellow of the Royal Society, the UK’s premier Academy. He is also a Fellow of the Royal Society of Edinburgh, the Royal College of Pathologists, the Bulgarian National Academy of Medicine and a founder member of the Academy of Medical Science. He has won many international prizes Meyenburg Prize, the Yvette Mayent Prize, the International Agency for Research on Cancer (IARC) Medal, the Sergio Lombroso Award in Cancer Research, the RSE Royal Medal and the INSERM Award. In 1998 Professor David Lane received the prestigious Paul Ehrlich Prize, often referred to as the small Nobel Prize, as many of the prize recipients were later Nobel Prize winners. He has played an active part in British research, sitting at various times on the Scientific Committee of the CRC, the Cell Board of the MRC and on the council of the ICRF. Cancer Research UK appointed Professor Sir David Lane as its first Chief Scientist from 2008 until 2011. Sir David has been awarded Honorary Degrees from the Universities of Abertay, Stirling, Aberdeen, Birmingham, Nottingham, Paul Sabatier, Toulouse and Dundee University. 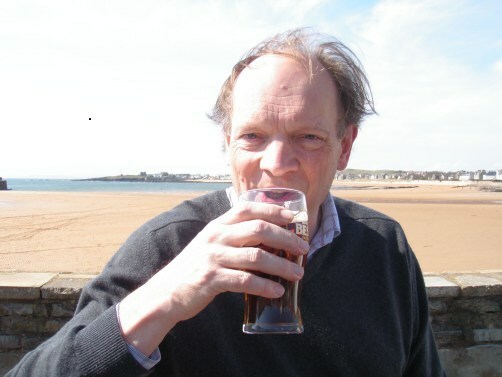 Fig.4 David enjoying a pint in Ship Inn, Elie, Scotland. During his research career Sir David has been a tireless ambassador for UK science around the world. His scientific brilliance has always been accompanied by personal charm and support of fellow scientists. “We should be more romantic about science” says Sir David . “I think some people assume scientists are dried up old fossils. I’ve never met a wilder group of people, a crazier group of people than scientists”. Outside of science Sir David enjoys playing tennis, long walks and riding a motorcycle down the deserted roads. He is fond of old motorbikes and has quite a collection. The editorial board of the “BioDiscovery" friends, colleagues and students congratulate Professor Sir David Lane on his anniversary and wish him, happiness, good luck and new creative successes in all fields. Lane DP, Crawford LV. T-antigen is bound to a host proteon in SV40-transformed cells. Nature 1979; 278(5701): 261-263. Lane DP. Cancer-p53, guardian of the genome. Nature 1992; 358(6381): 15-16. Lane DP, Benchimol S. P53 – Oncogene or anti-oncogene. Gene Dev 1990; 4(1): 1-8. Bartek J, Iggo R, Gannon J, Lane DP. Genetic and immunochemical analysis of mutant p53 in human breast-cancer cell-lines. Oncogene 1990 5(6): 893-899. Bartek J, Bartkova L, Vojtesek B. Staskova Z, Rejthar A, Kovarik L, et al. Patterns of expression of the p53 tumor suppressor in human breast tissues and tumors insitu and invitro. Int J Cancer 1990; 46(5): 839-844. Bartek J, Bartkova L, Vojtesek B. Staskova Z, Lukas J, Rejthar A, et al. Abberrant expression of the p53-oncoprotein is a common feature of a wide spectrum of human malignancies. Oncogene 1991; 6(9): 1699-1703. Barton CM, Staddon SL, Huges CM, Hall PA, Osullivan C, Kloppel G, et al. Abnormalities of the p53 tumor suppressor gene in human pancreatic-cancer. Brit J Cancer 1991; 64(6): 1076-1082. Gusterson BA, Anbazhagan R, Warren W, Midgely C, Lane DP, Ohare M. et al. Expression of p53 in premalignant and malignant squamous epithelium. Oncogene 1991; 6(10): 1785-1789. Harlow E, Lane D. Antibodies: A Laboratory Manual. Cold Spring Habor Laboratory Press, New York, 1988. Hall PA, McKee PH, Manage HD, Dover R, Lane DP. High-levels of p53 protein in UV-irradiated normal skin. Oncogene 1993; 8(1): 203-207. Lane DP. Cancer – a death in the life of p53.Nature 1993; 362(6423): 786-787. Hupp TR, Meek DW, Midgley CA, Lane DP. Activation of the cryptic DNA-binding function of mutant forms of p53. Nucleic Acids Res 1993; 21(14): 3167-3174. Hupp TR, Lane DP, Ball KL. Strategies for manipulating the p53 pathway in the treatment of human cancer. Biochem J 2000; 352: 1-17. Brown CJ, Lain S, Verma CS, Fresht AR, Lane DP. Awakening guardian angels: drugging the p53 pathway. Nat Rev Cancer 2009; 9(12): 862-873. Fischer PM, Zhelev NZ, Wang S, Melville JE, Fahraeus R, Lane DP. Structure-activity relationship of truncated and substituted analogues of the intracellular delivery vector Penetratin. J Pept Res 2000; 55(2): 163-172. Zheleva DI, Zhelev NZ, Fischer PM, Duff SV, Warbrick E, Blake, DG, et al. A quantitative study of the in vitro binding of the C-terminal domain of p21 to PCNA: Affinity, stoichiometry, and thermodynamics. Biochemistry-US 2000; 39(25): 7388-7397. Fischer PM, Zheleva DI, McInnes C, Gavine A, Zhelev NZ, Lane DP. Peptide inhibitors of cyclin-dependent kinases derived from p21(WAF1): Delineation and structural insight into their interactions with cyclin A. Clin Cancer Res 2001; 7(11S): 3821S-3822S. Zheleva DI, McInnes C, Gavine AL, Zhelev NZ, Fischer PM, Lane DP. Highly potent p21(WAF1)-derived peptide inhibitors of CDK-mediated pRb phosphorylation: Delineation and structural insight into their interactions with cyclin A. J Pept Res 2002; 60(5): 257-270. McClue SJ, Blake D, Clarke R, Cowan A, Cummings L, Fischer PM, et al. In vitro and in vivo antitumor properties of the cyclin dependent kinase inhibitor CYC202 (R-roscovitine). Int J Cancer 2002; 102(5): 463-468. MacCallum DE, Melville J, Frame S, Watt K, Anderson S, Gianella-Borradori A, et al. Seliciclib (CYC202, R-roscovitine) induces cell death in multiple myeloma cells by inhibition of RNA polymerase II-dependent transcription and down-regulation of Mcl-1. Cancer Res 2005; 65(12): 5399-5407. Wang SD, Midgley CA, Scaerou F, Grabarek JB, Griffiths G, Jackson W, et al. Discovery of N-Phenyl-4-(thiazol-5-yl)pyrimidin-2-amine Aurora Kinase Inhibitors. J Med Chem 2010; 53(11): 4367-4378. Wang SD, Griffiths G, Midgley CA, Barnett AL, Cooper M, Grabarek J, et al. Discovery and Characterization of 2-Anilino-4-(Thiazol-5-yl)Pyrimidine Transcriptional CDK Inhibitors as Anticancer Agents. Chem Biol 2010; 17(10): 1111-1121.